It is July and our daytime high forecast today is to reach 100 degrees with a real-feel of 108! That’s uncomfortable! After watering my outdoor plants I came inside to enjoy some of the nicer things of summer. Like sweet berries. 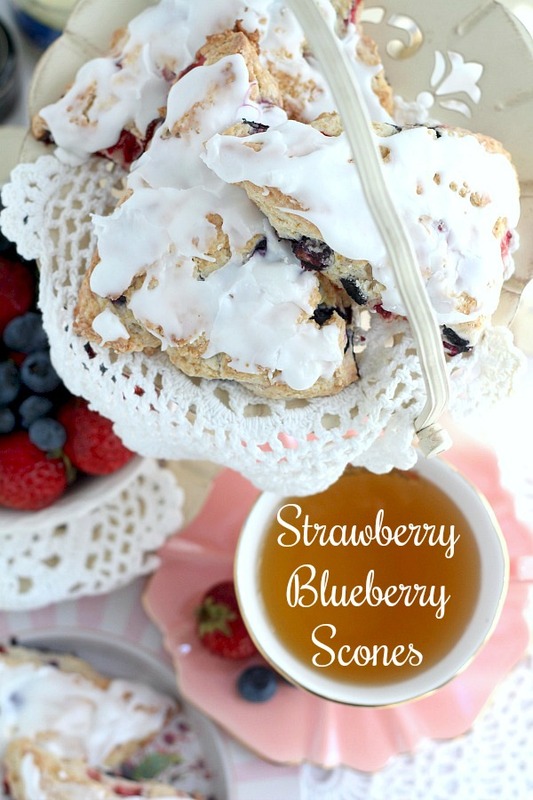 Maybe you’d like to brighten breakfast or tea time with this easy recipe for frosted strawberry blueberry scones. 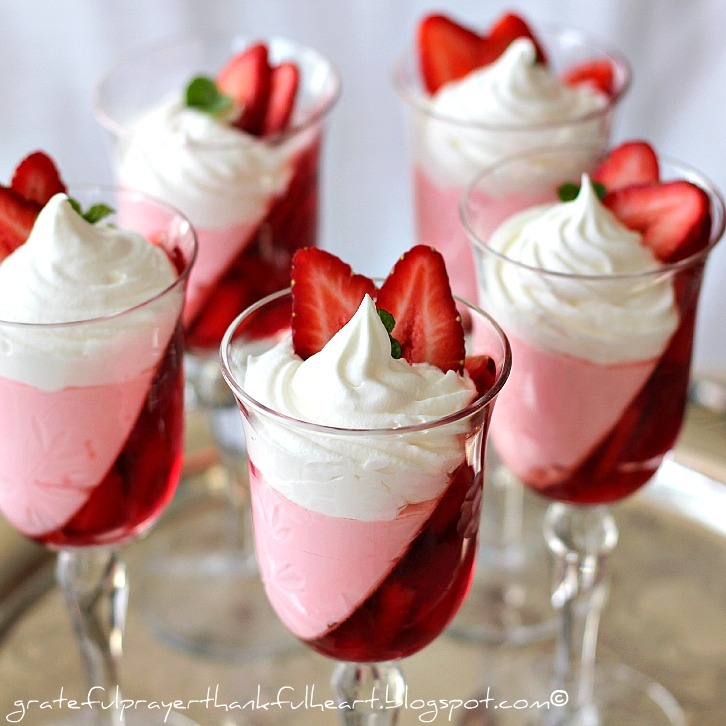 They’re lovely to treat yourself or to share with friends & coworkers. 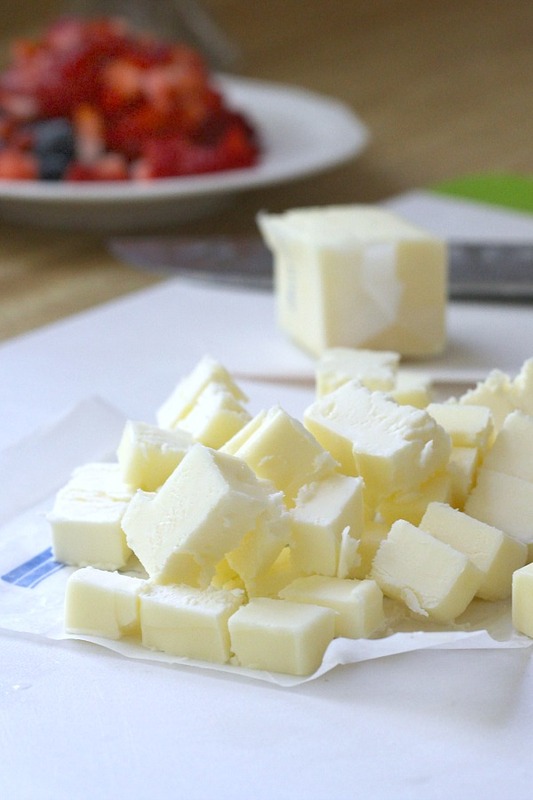 Cut slightly softened butter into cubes. 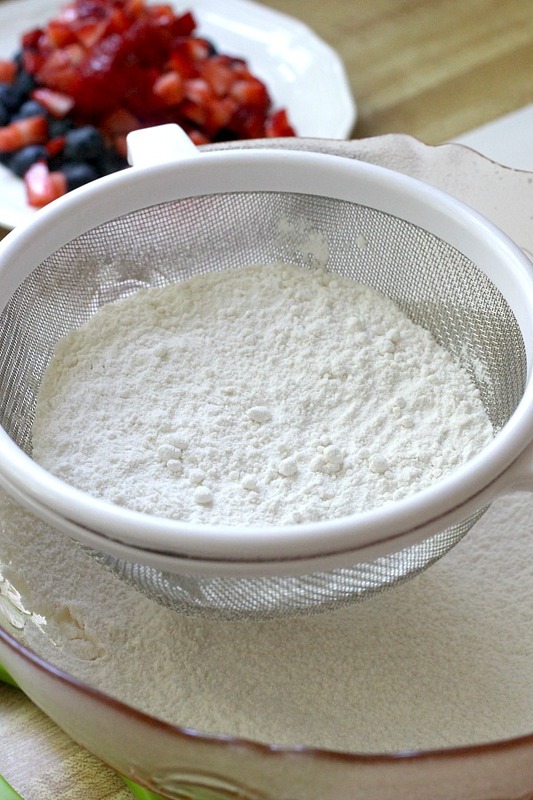 In a large bowl, using a sifter or whisk, combine flour, baking powder, sugar and salt. Make sure dry ingredients are thoroughly combined. Add butter. Using a pastry cutter or 2 knives, cut in butter. 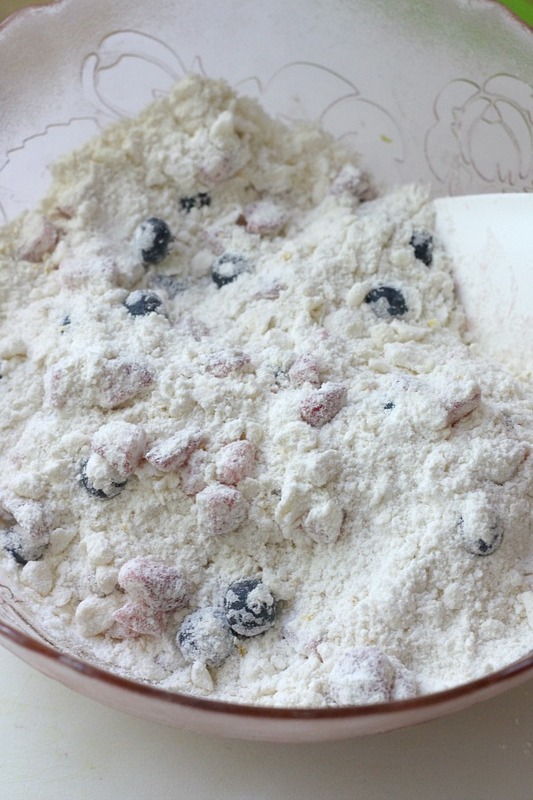 The mixture should be unevenly crumbly. 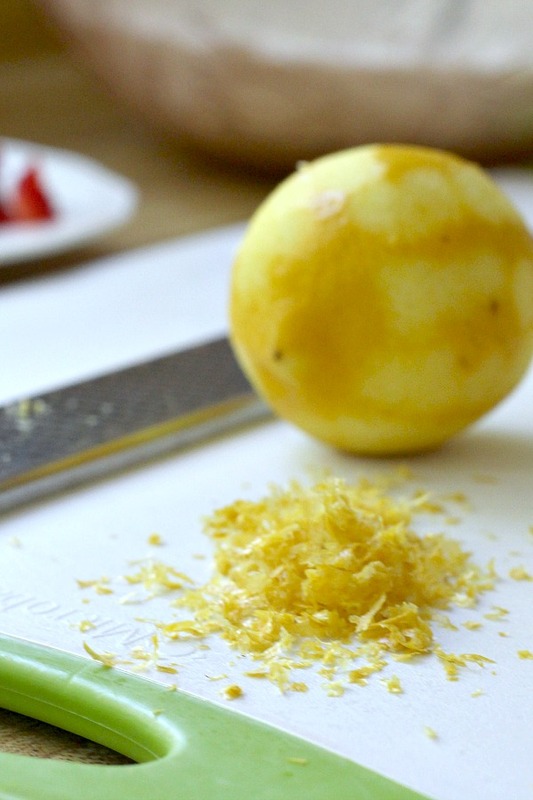 Add the berries and lemon zest; toss gently. 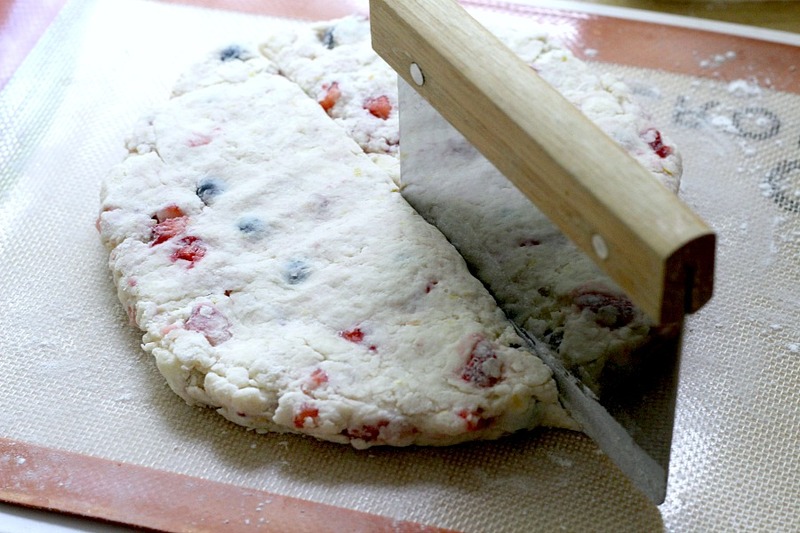 Using a spatula, gently fold just until the dough begins to hold together. 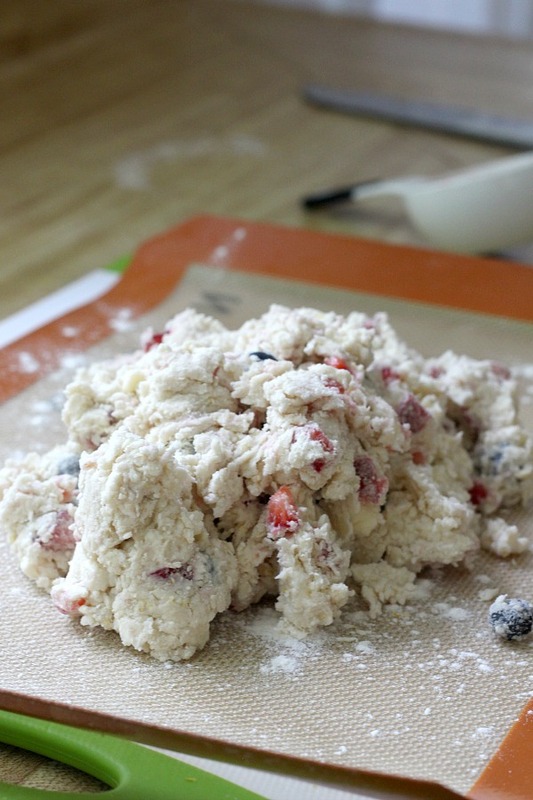 After turning the dough onto a flat surface and kneading a few times, shape into a circle. With a scraper or knife, cut into 8 wedges. 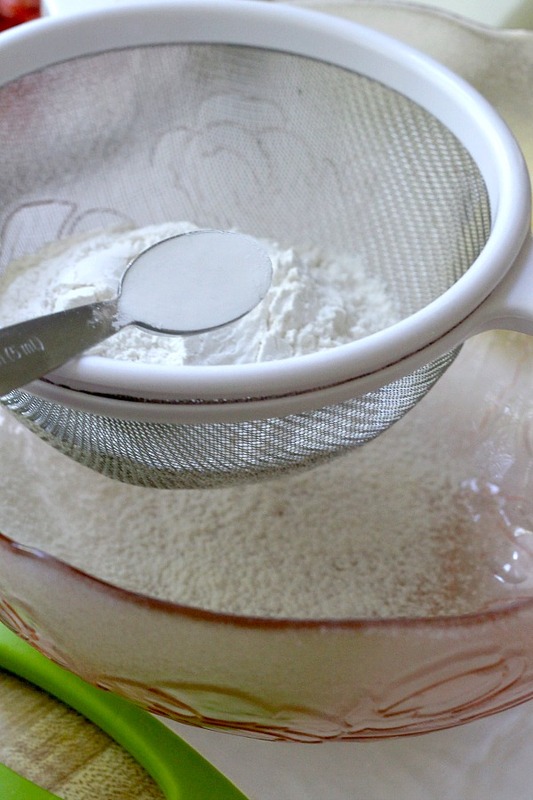 It helps to dip the scraper or knife in flour between cuts if it is too sticky. 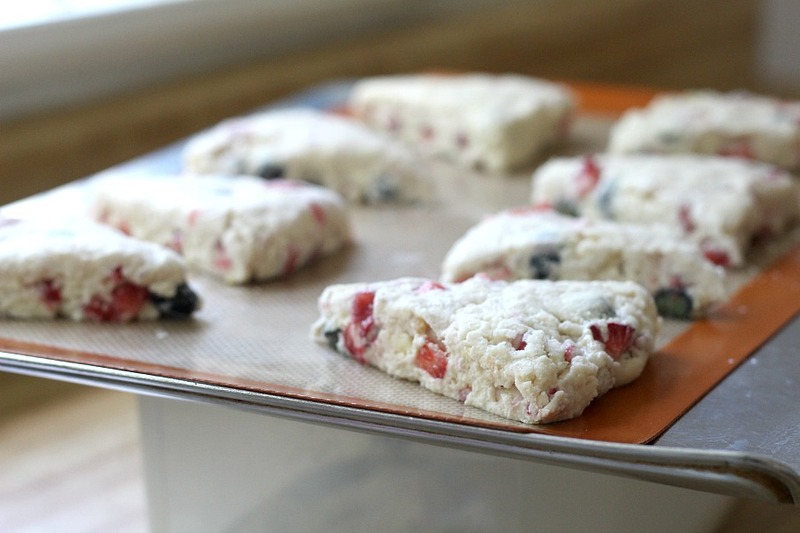 Place scones on a silicon mat or parchment covered baking sheet; bake about 20 minutes. Cool scones on a wire cooling rack. 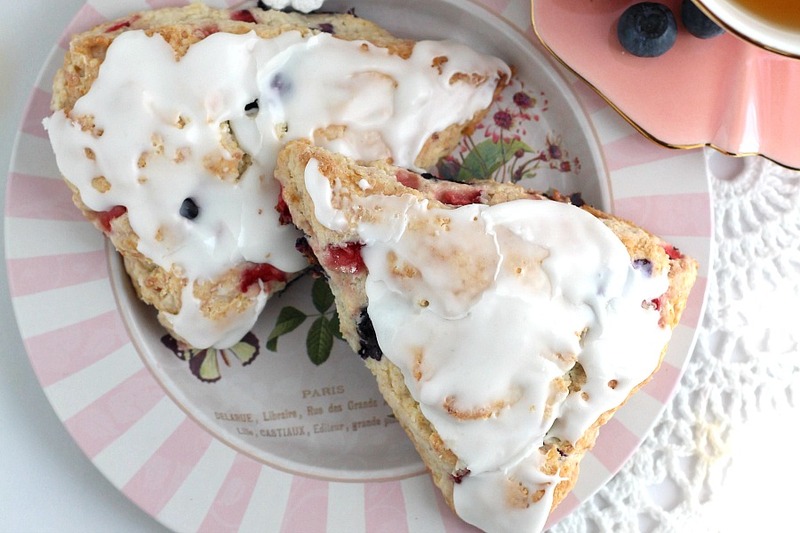 Make the frosting and spread on cooled scones. Make it all pretty with fancy plates and white doilies. The peach luster tea cup and saucer is made in China by Meritage but I can’t find a source to purchase. 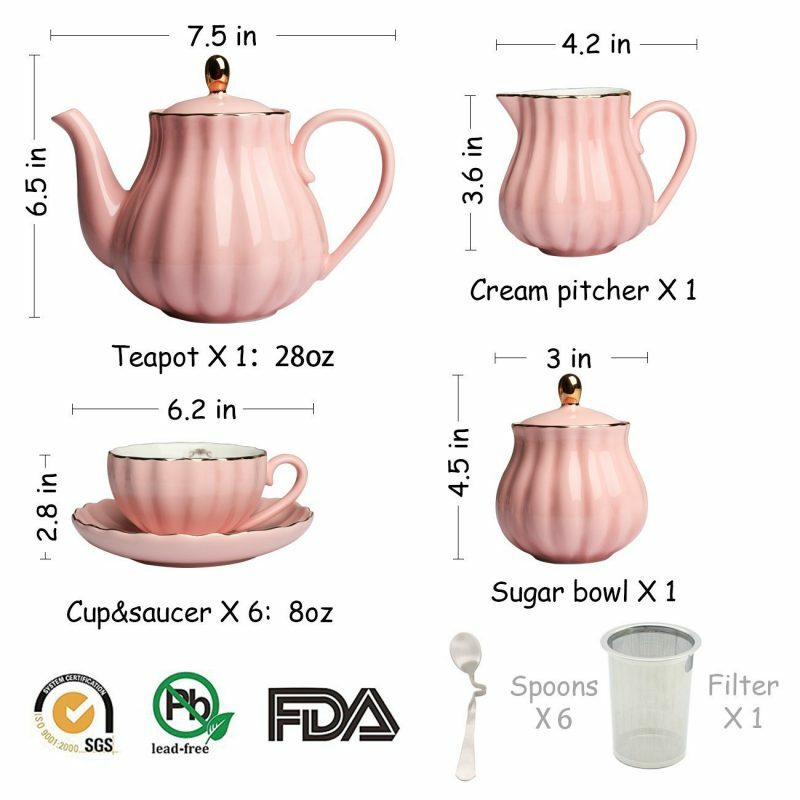 Though more pink than peach, I did find a pretty porcelain service for six tea set. Have a peek if you are interested. Note: the display stand is not included which I think stinks, but it can be purchased separately. The pinked striped metal plates are from Hobby Lobby. Preheat oven to 400 degrees. Cover a baking sheet with a silicone mat, parchment paper or lightly grease. 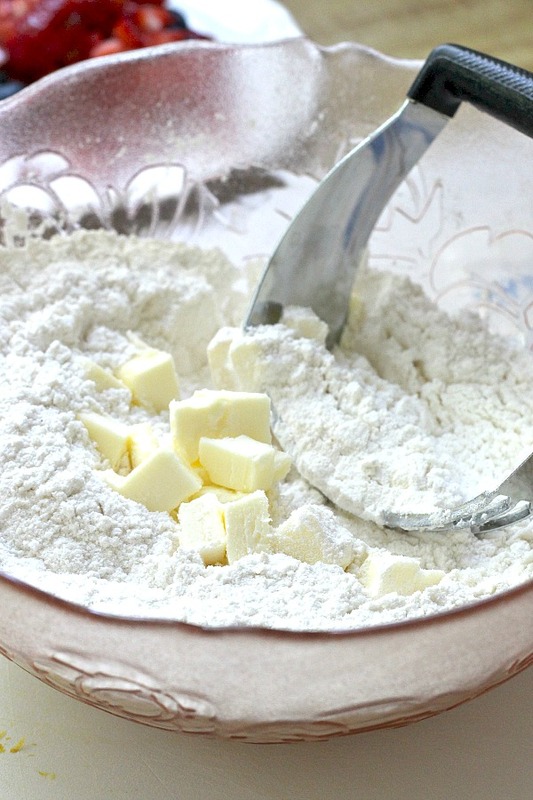 In a large bowl, combine flour, baking powder, sugar and salt. Add butter; using a pastry cutter or 2 knives, cut in butter. The mixture should be unevenly crumbly. 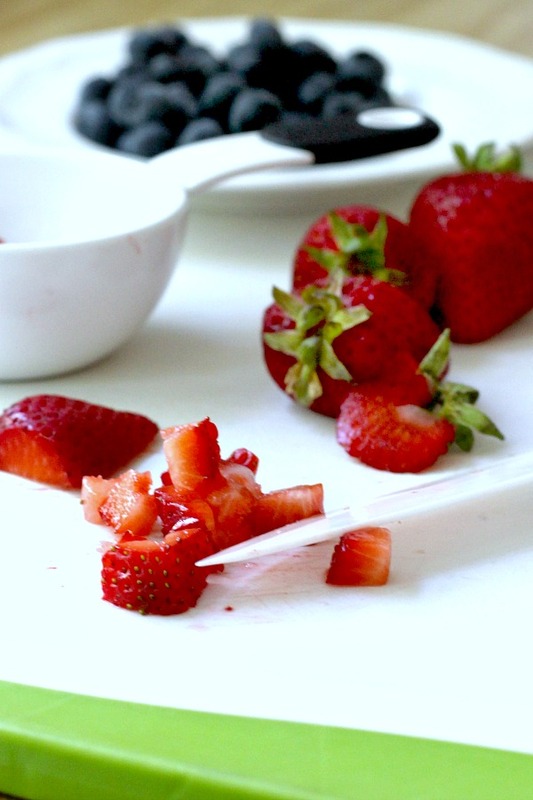 Add the berries and lemon zest; toss gently. 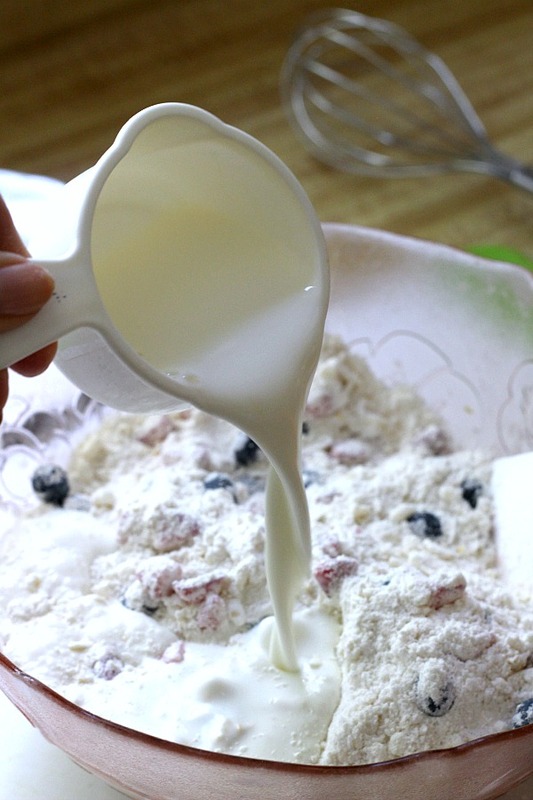 Pour in the half-and-half and, using a spatula, gently fold just until the dough begins to hold together. Turn onto a lightly floured surface and knead a few times to incorporate dry ingredients being careful not to overwork the dough. Pat the dough into a circle about 1/3 to 1 inch thick. Cut the circle into 8 wedges. Transfer wedges to prepared baking sheet leaving at least 1/2 inch of space between them. Bake 18-20 minutes or until scones are beginning to brown; they should be moist in the center, not gummy. 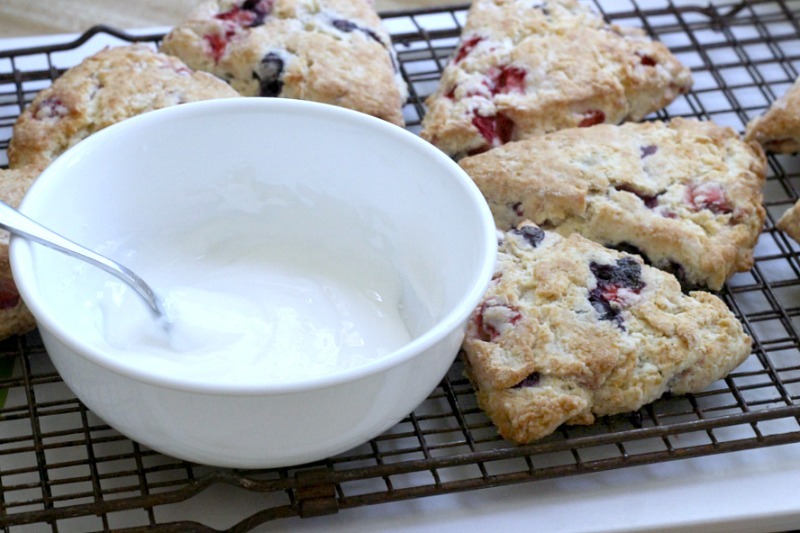 Remove from oven; allow to rest for a minute or two before placing scones on a cooling rack. 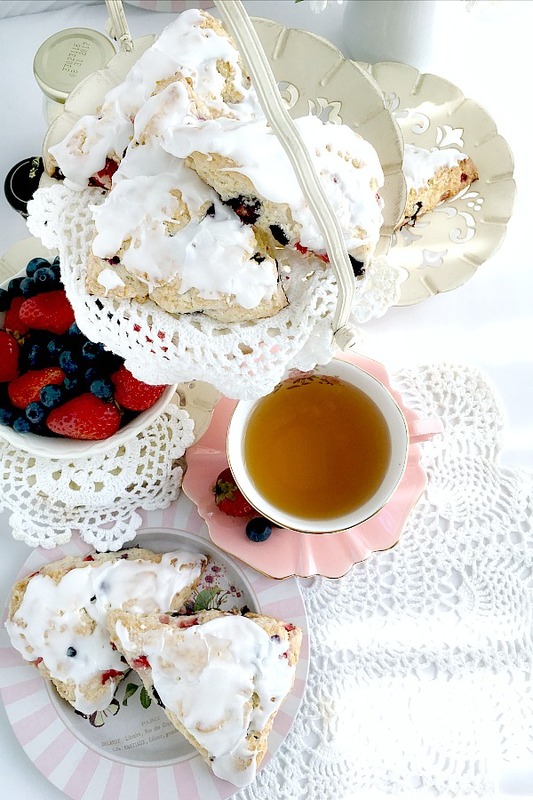 Serve scones warm. Or allow them to cool completely, and store airtight at room temperature. Just before serving, reheat very briefly in the microwave, or for 5 to 10 minutes, tented with aluminum foil, in a preheated 350°F oven. If you are planning to frost the scones, allow them to cool to room temperature. Combine the frosting ingredients, stirring until smooth. Spread on scones.